Looking for Fall Baby Shower Invitations? Make personalized baby shower invitations with your unique pregnancy or ultrasound photos ... or just create your own invitation wording to make ordinary Fall Holiday invitations into beautiful and warm invites for your baby shower. Choose any of these warm & vibrant Fall Invites and make them into personalized Fall baby shower invitations. Add a photo of baby's latest ultrasound or add a picture of the glowing Mom-To-Be. Photo baby shower invitations just for your Fall Baby Shower. Looking For Halloween Baby Shower Invitations? We have a great selection at our Halloween Baby Shower page and also on our new Halloween Baby Shower Invitations page. Also, remember to order your Fall Baby Shower Favors. Our Fall Favors are glowing with warm Autumn colors of the seasons. Your baby shower guests will be delighted when they see your creative baby shower favor ideas. Photo baby shower invitations begin with an awesome picture. Simply upload the image, perhaps of Mom and Dad-To-Be, or just Mom-To-Be. Then personalize the text and you're done! Simple personalized baby shower invitations with the warm colors of the Autumn Season. Again, simply personalize your text and you're all set! Picture Perfect Fall Invitations for your Baby Shower with a photo of Mom-To-Be, or an ultrasound pic of Baby. 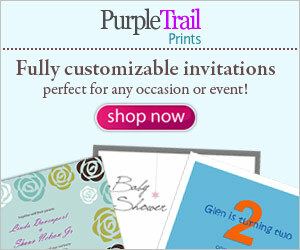 More Photo Baby Shower Invitations to personalize with your Keepsake Photos. Throw A Fall Baby Shower!